Darjeeling, known as the champagne of teas for its aroma and light muscatel flavor , Darjeeling is recognized throughout the world as being one of the best teas available. Picked from the tea gardens in the foothills of the Himalaya Mountains, the unique growing conditions give the Darjeeling leaf an unmistakable taste. Premier’s has packed this exotic leaf tea into 12 in a box. 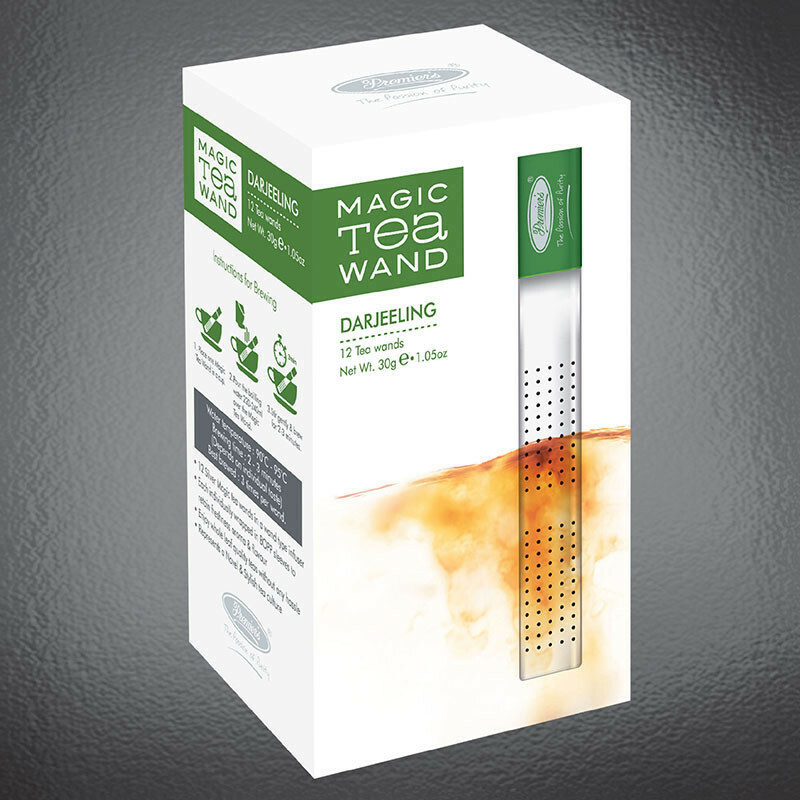 Tea Wands which are disposable foil perforated tubes filled with Whole Leaf Tea. The perforated foil allows water into the infuser , soaking the leaf tea inside. 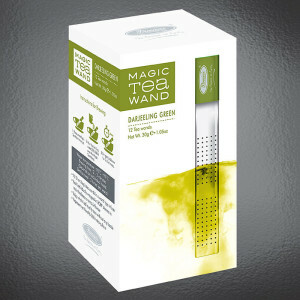 Tea Wands are ideal for creating a wow factor when you have visitor who enjoy a good cup of tea. Can be enjoyed with out milk. Add sweetener or honey to taste. Darjeeling produces the finest black and green teas known to the mankind. This non-oxidized Darjeeling green offers a unique balance between flavor and universally known benefits of green tea. Delicate green liquor that is grassy sweet and cleanly astringent.The perforated foil allow water into the infuser , soaking the leaf tea inside. Tea Wands are ideal for creating a wow factor when you have visitor who enjoy a good cup of tea.